Hand these out at holiday parties. 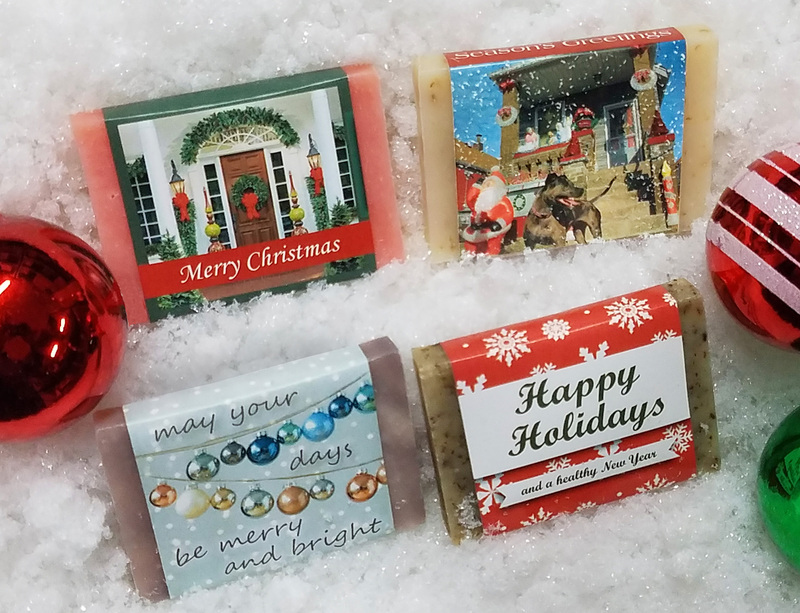 Everyone enjoys these sweet little holiday soaps. These fragrant, half-sized Herbaria bars are decorative and festive. Give them to guests at holiday parties or put them in your hung-by-the-mantle-with-care stockings. If you want custom favors, see our Custom Promo and Party Favors page. We can personalize soap wrappers any way you like.